"We have many years of experiences with cycling." Due to a long-time experience in cycling industry and also in race-cycling we endeavor to draw our products in order to make them well functionally ballanced, competitive and able to offer still something more to our customers. 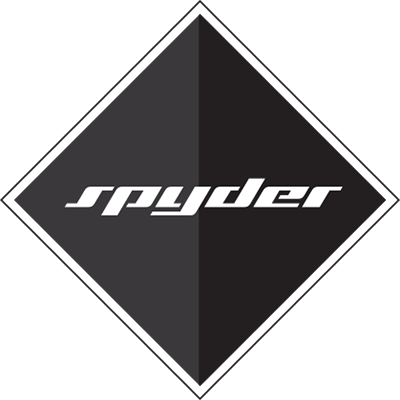 "SPYDER is a bicycle brand drawn as a purely individual matter." The SPYDER brand offers you an option for selection from wide spectrum of bicycles and frames. No matter if you use your bike for racing or going to work. You always have a choice with us. 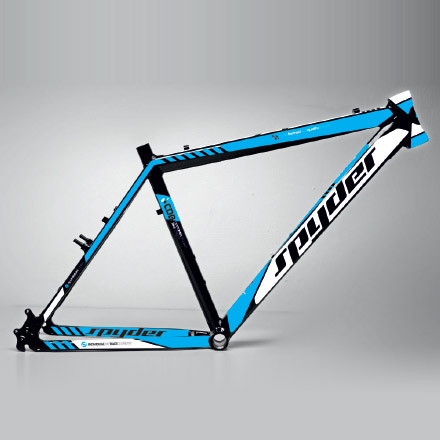 Bikes for adrenaline ridings, downhill, extremely demanding terrain, thus full-suspension bikes. XC, Allmountain, Freeride and Downhill. Bikes for easy terrain, leisure ridings on roads and paved trails, simply something between mountain and road bicycles. Optimal for normal cycle touring. Bikes for riding on roads, for leisure and racing rides, speedy and even secure. Bikes with combination of best parameters for road and mud riding, aerodynamic, controllable, but even built for cross country rides. ARE YOU PUZZLED? LET US GIVE YOU ADVICE. This bicycle brand is designed as a purely individual matter. That means a customer may choose a completely individual set of components together with an overall frame design. 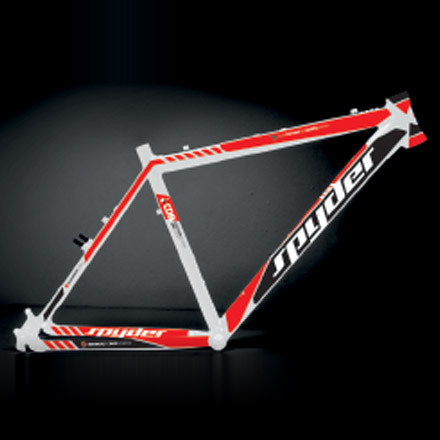 Under this brand we produce mountain, trekking, road, cyclocross and rear-suspension bicycles. But in order to get easily navigated in our product range, we also offer a series of standard preset models, that you may order with or without any further modifications. One colour or coulour combination demanded? Individual design on customer’s request. Complete set or particularly selected components. 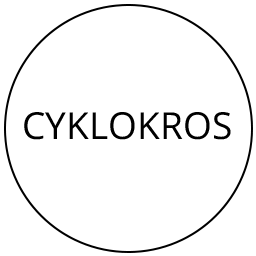 All in accordance with selected specifications. 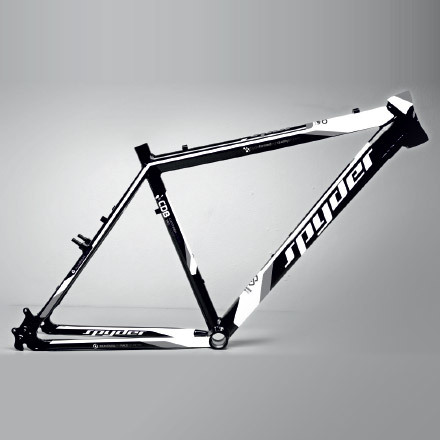 The frame selection process is something the bicycle assembly should start with. Be careful about your selection. Material, geometry, type, also colour and design ere elements markedly affecting the final result. Have you already selected your frame? It is time now for colours selection. One colour or four? It is up to you as well. Choose required colour combination, also matty or glossy final coating. Final coating is applicated right after you specify some of the available design versions. This depends only on your creativity and style. Do you want to put a name, a logo or a piece of individual graphics to your frame? Why not. Individual bicycles have this option. All covered with a final coating. Once the frame is completely finished, we start building the bike with required components. Components are also the subject of your choice. Should you need our assistance for that selection, you can contact us anytime you need. In spite we offer an option of your own individual bicycle, for better orientation in our product range we also offer a series of standard preset models, that you may order with or without any further modifications. Should you want to order a bike or ask us a question, do it over the form bellow or phone or email us. We are at your service between 8:00 – 18:00 O’clock.